According to the Council for Independent Education, “this year is seeing a surge in demand for GCSE Easter Revision courses.” So why are Easter courses so popular and what should you consider in deciding whether an Easter Revision Course is right for you? The Easter Holidays are a crucial revision period, giving students the time and space to gear up their revision efforts and maximise their potential in their impending examinations. Whilst Easter has always been a key revision period, the demand for courses is being fuelled by a number of factors. Not only are more students needing extra support in the run up to the new, tougher GCSEs and A Levels, getting good grades first time round is even more important for both GCSE and A Level students hoping to go onto University. For students who prefer their own company or find the pace of the classroom difficult, whether that be too fast or too slow, then independent study with some 1:1 support from school or a private tutor may suit you best. However, for the majority of students, revision courses can be extremely effective and, when courses comprise small groups led by experienced subject experts, provide an engaging, inclusive learning environment. Daunted by the amount of work required, students frequently procrastinate and put off starting their revision. Even for diligent students, it can be difficult to stay focused and to avoid the distractions of social media (or anything else! ), with the result that many students doing independent study fall behind on their revision. For others, revising alone is not always that productive and students can end up spending too much time on trickier topics. External support either from a private tutor or revision course provider can be extremely helpful with these challenges. In addition to removing the distractions of everyday life, students attending revision courses come away with a much stronger understanding of the subject matter as well as being highly motivated, and focused on what they need to do to improve their exam grades. 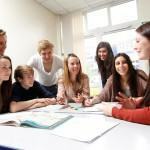 Whilst an increasing number of schools are providing low cost revision courses, these tend to be for larger groups and limited to core subjects and the Easter Holidays. For greater choice on where and when to revise, specialist revision course providers are an excellent alternative and can represent good value for money compared to private 1:1 tuition. Other key factors to consider are the quality and experience of tutors and the amount of individual tailoring available as these factors will have a significant impact on the benefits derived by the student. 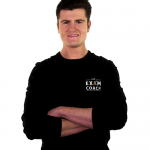 Whilst parents now have greater choice than ever when it comes to finding a private tutor or revision course, there are a relatively small number of specialist providers, including Justin Craig, who have significant depth and breadth of experience in GCSE and A Level revision tuition. For parents, this means that they can be confident that Justin Craig has the best tutors as well as the professionalism, organisation and expertise to ensure students are able to achieve maximum grades in the new tougher GCSEs and A Levels. For any revision option, there are advantages and disadvantages. 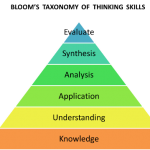 Most students will use a combination of approaches and, at the end of the day, the main objective is to find solutions that work best for you. A good Easter Revision provider will cover key aspects of the syllabus in addition to providing students with support on exam technique. At Justin Craig, we go beyond that by tailoring our courses to the individual needs of students and, where appropriate, organising students into board-specific groups to ensure that every aspect of their revision is focused and relevant. 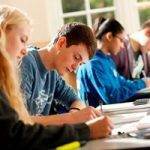 The advantages of attending an Easter Revision course are that you are guaranteed a certain number of hours of preparation for each examination, which can be the impetus that many students need to hit the ground running for the rest of their revision. Having a tutor available for consultation rather than attempting to work independently means that you are kept on target for the entirety of the course and also that you have a second chance to learn the material from an expert, filling in any gaps that you might have missed initially. Easter Revision Courses vary from provider to provider and the best thing to do if you are considering a course is to contact the school or company directly to discuss your requirements.